When Man Ray left Paris as a result of the German invasion of 1940, the 1933 Object to be Destroyed Lost Object, but the title was accidentally printed as Last Object. In the catalogue Man Ray wrote: 'Last Object or Object of destruction. 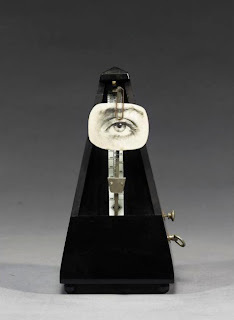 It is still my earnest desire, some day while the eye is ticking away during a conversation, to lift my hammer and with one well-aimed blow completely demolish the metronome' (Schwarz, p.206). The work did subsequently get damaged, although not quite as Man Ray had anticipated. 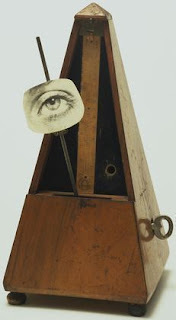 In March 1957, it was included in a Dada exhibition at the Galerie de l'Institut in Paris, against which a group of young students, probably from the Académie des Beaux Arts, organised a demonstation. Man Ray was in the gallery at the time the students entered, and he later recalled the events in his autobiography (see Man Ray, pp.306-307). In 1958 Man Ray decided to remake the object yet again, this time giving it the warier title Indestructible Object. In 1965 he collaborated with the French artist Daniel Spoerri to make an edition Indestructible Objects. The Tate's version is number sixteen in this edition. 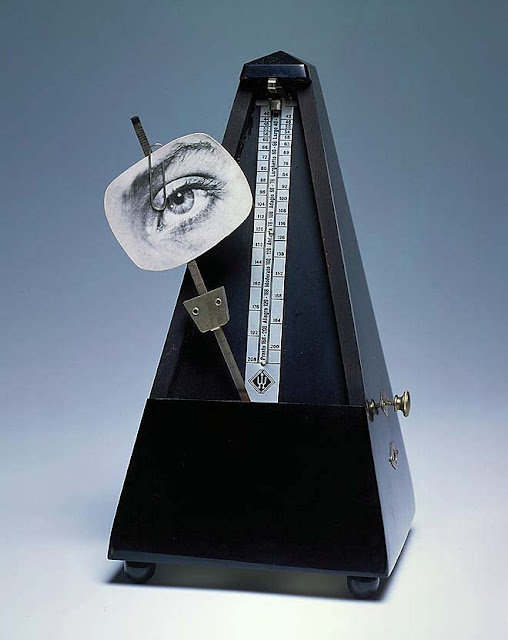 In 1970 Man Ray authorised a further edition of forty sculptures to be made in which the photograph of Miller's eye was replaced with a double printed image of a blinking eye that opens and closes as the metronome's arm swings back and forth. As he explained: 'It finally annoys me always to repeat the same thing, so I introduced a small variation, I changed the eye of the metronome. Well, since I have repeated it now for the third time, I will call it Perpetual Motif. After all, the movement of the metronome is a perpetual motif.' (Schwarz, p.206.) 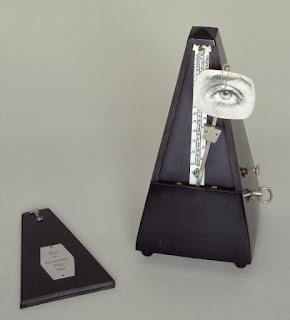 A further edition of one hundred metronomes was issued by Mario Amaya on the occasion of an exhibition at the New York Cultural Center in 1974. These were known as Do Not Destroy. Two posthumous examples of the object are known to have been produced in Germany and Spain in 1982.